Xiamen Airlines has dropped the price of their flights from Vancouver to Lhasa, the capital of Tibet, down to $595 CAD roundtrip including taxes. This is the first time I've ever seen an amazing price to Tibet. These are also the fastest flights from Vancouver to Tibet. WARNING: Tibet is usually closed to foreign travelers from sometime in late February to sometime in March. It changes each year. In 2017 it was Feb 20th to March 31st. Definitely contact a travel agency that specializes in Tibet before booking any flights (you'll need to anyways, for the permit and guide). Given the logistics involved and the fact that they are for January/February travel (average high of 8 to 11C) - I can't imagine there are too many that will take advantage of these, but if you do go, please let me know. I'd love to hear about it. vancouver, yvr, flight deals, asia, east asia, xiamen airlines, lhasa, tibet and lxa. 4 Responses to "Vancouver to Lhasa, Tibet - $595 CAD roundtrip including taxes"
Definitely want to be careful on this one, Tibet is supposedly closed to travelers for Tibetan New Year from late February to March. From what I read, it looked like the closure starts on February 25. I would contact a visa issuer or reputable tour guide before picking this deal up. 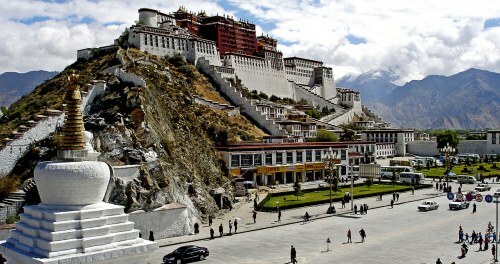 Tibet is closed to foreign tourists Feb to March. This is why flights be cheap. Destination is attractive but time doesn't work for most people. Love to see more options in the future. Thanks Paul, I added a warning to the post.